fleet street fox: Hacks will be hacks. JOURNALISTS will ask you questions. We will take your picture, ring your office and your home, we will double-check what you say. We will knock on your door, keep tabs on you, and stick our noses where they're not wanted. Sometimes people take money in return for allowing my prying into their lives, and sometimes they don't. They almost always resent it however politely I go about it and regardless of whether answering my questions has helped to get them something they want, like cold hard cash, landing a role or being elected to public office. Then there's the times I sit outside their house and trail them around. This is usually when someone comes up with a tip, and before we go crashing the front door in we try to find out if it's true. If person X is allegedly having an affair with person Y, you need to get a picture of them together either holding hands or kissing before you go banging on the door and upsetting their wife. If you do it properly they never know you're there, and if it's not true you melt away and they were never any the wiser. It's called research, and without it newspapers both tabloid and broadsheet would be sued out of existence by guilty people who know you don't have the photographic proof to defend a story. It's not just affairs - corruption, politicians with 'friends' sitting in on private meetings, Royals hanging around with paedophiles and dodgy businessmen, have all been proven by journalists trailing around after people who'd rather they didn't. And none of it is illegal. None of it is equivalent to deleting voicemails on the mobile phone of a missing schoolgirl. It is, in fact, doing a difficult job properly. Anyone reading this who's ever suspected someone of cheating will know how easy it is to believe the excuses and how difficult it is to be sure - imagine finding your way through that every day, and getting evidence which would stand up in court. It's time-intensive though and in days of constant cutbacks some of this work gets farmed out to photographers working alone, or private investigators. Some PIs are a disgrace and others make us look bad, so determined are they to sit outside an empty house until the wee hours when a hack would bunk off for a kip or a pint. The fact that the News of the World employed one to tail celebrities is not illegal, not surprising, and not a problem - unless you're the PI in question, and angry you didn't get a big enough pay-off when the paper was closed. Using him to tail lawyers who are suing the paper is a bit of an own goal, but seeing as the instruction to do so came from a lawyer working for the Queen's favourite firm Farrer & Co it wasn't a hack who had the last touch on that ball. Newspapers don't use PIs that often - but lawyers use them all the time. Insurance companies, local authorities and many members of the public use PIs to prove their points, expose wrongdoing and frauds, and win court cases. The security services use these deniable private contractors too, Boris Johnson used them when he was on the Wellygraph years ago and more recently Justice Minister Jonathan Djanogly was employed them to investigate his own constituents after unfavourable stories about him were given to the Press. Not always nice, not always justified, but not illegal either. Of course that doesn't stop some of those people who have been followed around having a moan. Keith Vaz, who lost his job in government when his corruption was exposed by newspapers sticking their nose into his business affairs and private meetings; Chris Bryant, who was humiliated by publication of his Gaydar profile picture and being exposed for slipping his second home expenses repeatedly, are two prime examples of people attacking journalists for doing their job properly having been caught out not spending that much time on their own. But the class-A holier-than-thou moaner has to be Zac Goldsmith, the Richmond MP who greeted the news that journalists research their stories before they publish with the same kind of bellowing belligerence as a 19th century country squire caught in the housemaid's skirts. He said: "NOTW truly a rotten state within the state. Grotesque abuse of power. No org; media/bank/supermrket; shd ever be allowed to get too big." 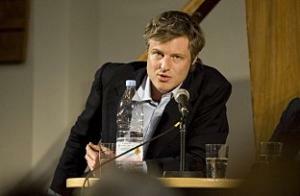 This is the same Zac Goldsmith whose affair with his brother's sister-in-law was exposed by two newspapers who trailed him around for weeks; whose career is funded by inherited wealth from a man whose corporate raids damaged many companies, tried to bankrupt Private Eye and conducted vendettas against journalists who questioned him; who owes his position not to any discernible talent or craft but to his name. So, Zac - an affair with an in-law is a rotten state within a state. Using your billions to bankrupt newspapers or run for Parliament is a grotesque abuse of power. And if the banks, supermarkets and newspapers aren't allowed to be too big for their boots then nor, I am afraid, should you. I am sure your constituents would appreciate it if you stopped banging on about the stuff that bothers you and concentrated on what bothers them, which I will bet any money is not whether someone in your position is subject to entirely-justified scrutiny. No doubt you will carry on whining, but I am going to continue doing my job as well as I can whether you approve of it or not; in fact the less you approve the happier I shall be. And if the Goldsmith clan hasn't employed a private detective at any point in the past ten years I'm a banana. Now please stop bollocking on.